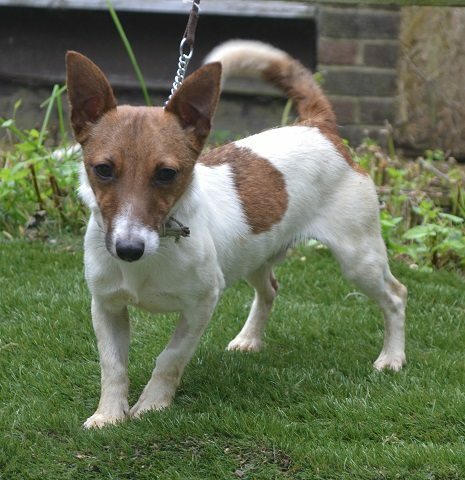 Kojak is a 6 – 12 month male Jack Russell Terrier. He is like a little turbo charged ferret! He is so tiny and so whizzy. He is the smallest dog in the kennels yet has one of the biggest personalities! Kojak has an incredibly fun, bubbly and out going personality. Nothing worries him, every day is fun filled and full of potential adventures. Obviously he loves his walks and finds them very exciting. He’d love someone who enjoys fun and adventures as much as him to adopt him. At the end of the day, when the adventuring is done, Kojak does turn into a bit of a lap dog. He does love his cuddles. vaccinated, neutered, wormed, micro chipped and vet checked.